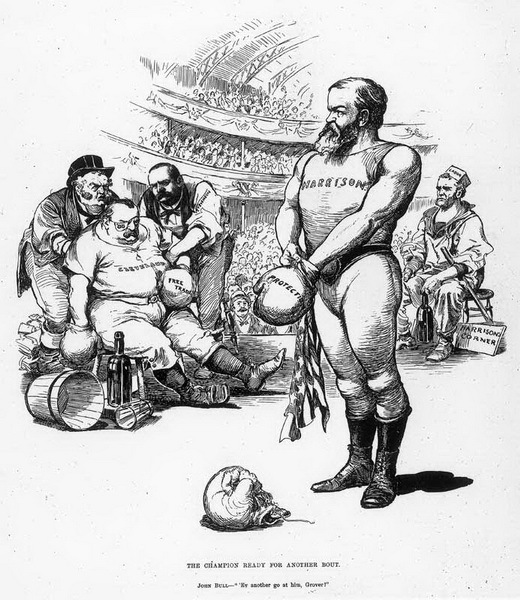 This election was a rehash of the 1888 election with the same two presidential candidates clashing over tariff policy. The outcome, though, was different. Cleveland won with the support of voters upset about the inflation caused by high tariffs, especially in the farm belt. 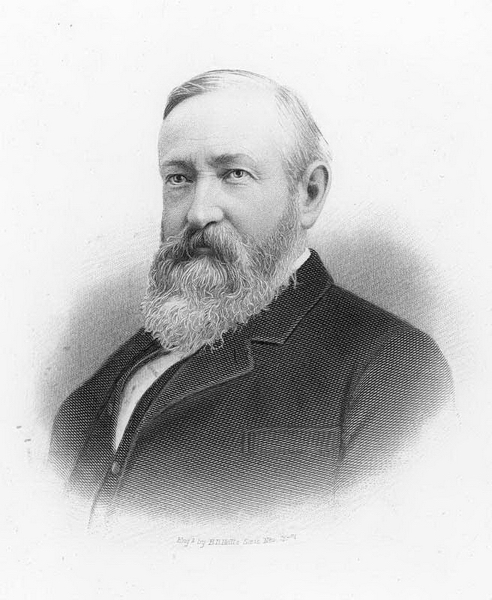 Cleveland became the only president to return to office after an absence. Pro-Harrison political cartoon. Frank Leslie's "Illustrated Weekly," August 11, 1892.